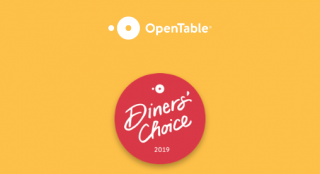 We are pleased to announce that The Olde Bar was named one of Open Table's 2019 Diner's Choice locations! 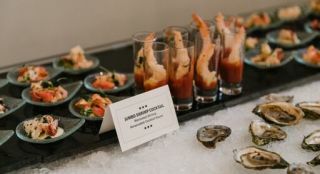 Read what Chef Jose says are go-to, classic dishes for any wedding! 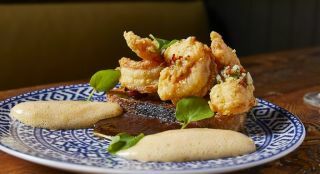 Village Whiskey was featured in PhillyBite's "Where to Indulge in Philly's Most Decadent Foods" piece! 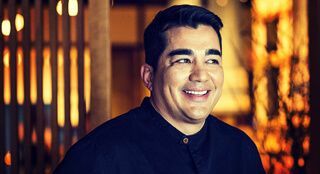 Suburban Life Magazine features Chef Jose Garces in their February issue. 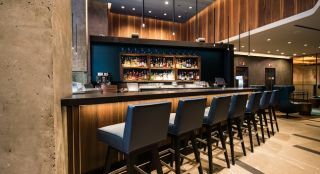 Distrito and Buena Onda were featured in places to drink in Philly for National Margarita Day. 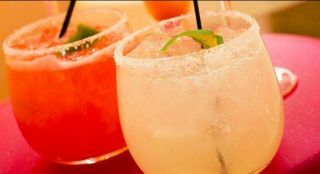 Distrito was featured in a roundup of places to celebrate National Margarita Day by Philly Style Magazine. 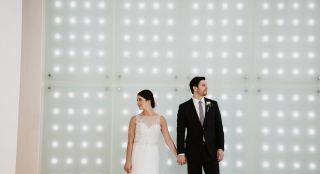 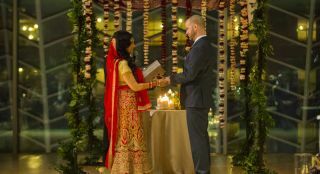 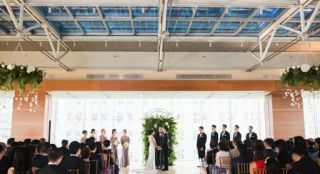 Kimmel Center for the Performing Arts venue was named as a 2019 winner of The Knot Best of Weddings awards! 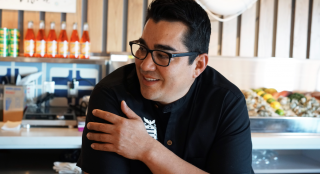 Jose Garces mentioned as a new participant in 2019’s Top Taco event, Thursday, March 14th at 7PM. 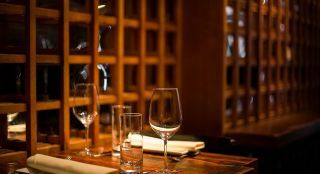 Amada is featured as a date night classic and one of the most romantic restaurants in Philadelphia. 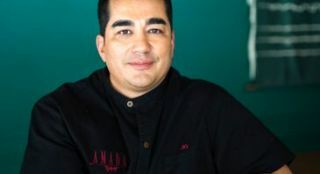 Jose Garces named among other notable chefs participating in The Nirvana Food and Wine Festival this April. 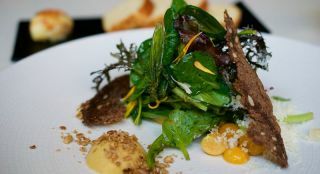 Amada’s vegetarian menu is featured in a roundup of restaurants that are vegan/vegetarian friendly for Valentine’s Day. 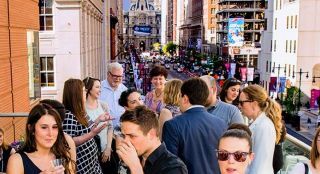 Weekend picks: Cupid's Undie Run, Lunar New Year at the Rail Park and more. 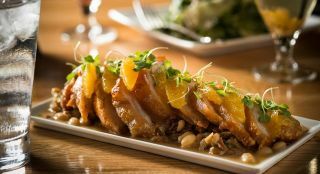 Tinto is included in a roundup of weekend picks and recognized for their largest menu revamp since opening. 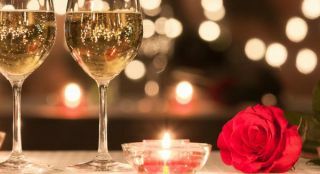 Our very own Amada and Distrito were included in a roundup of 15+ restaurants Offering Special Valentine’s Day Dinners! 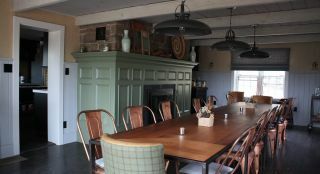 Our restaurants have spaces perfect for your next dinner party or private event. 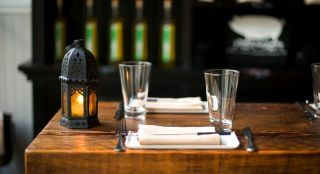 Take a look at our options and find the perfect location and cuisine for your event. 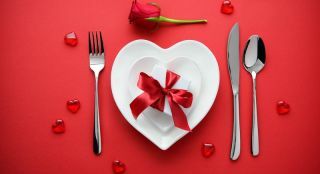 Valentine's Day, Thursday, February 14th through Saturday, February 16th we will be offering special tasting menus for you and your special someone. 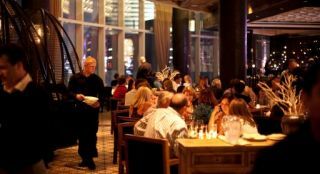 Check out our participating locations and make your reservations. 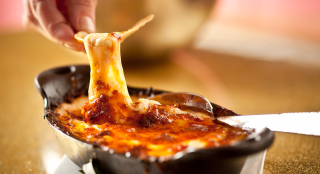 Distrito's Queso Dip was featured in Philly Mag as a go-to dish for National cheese Lover's Day! 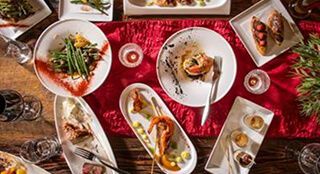 PHL 17 visits Amada for the start of Restaurant Week. 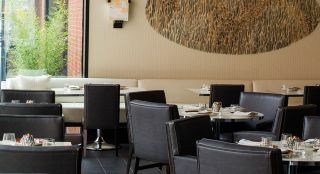 My PHL 17 steps into the kitchen at Amada to see whats cooking. 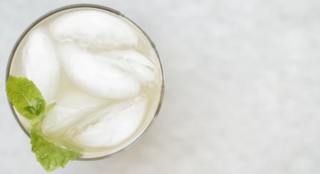 Volvér's Milk & Cereal was featured on ABC's Localish segment. 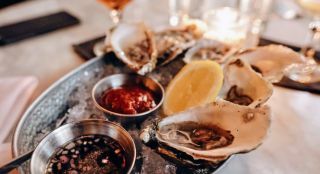 See what the hype is about! 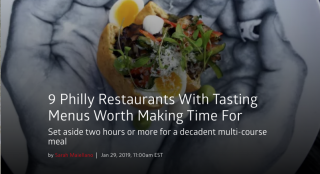 Amada featured as one of the “longtime favorite” restaurants participating in restaurant week and also featured in the article as offering curated special lunch and dinner menus. 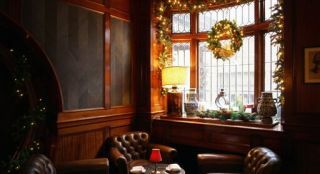 Village Whiskey tops the list of best whiskey bars in Philly. 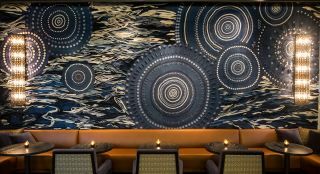 Volvér is featured as one of three restaurants offering "fine far" during Center City Restaurant Week. 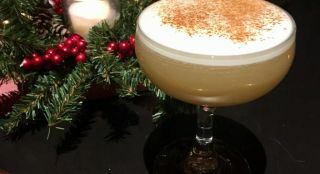 Recipes and directions on how to make The Olde Bar’s “Fumoir de Noel” cocktail at home. Jose Garces named among 19 other notable Philadelphians as a “winner” of 2018. 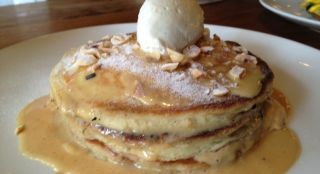 FOX29 'Ya' Gotta Try This' featuring Jose Garces creating the Caramel Egg dish at Volvér. 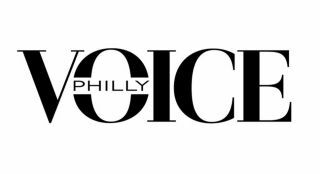 Philadelphia Style Magazine's January issue includes Volvér as one of four "Greatest Lounges" in Philadelphia. 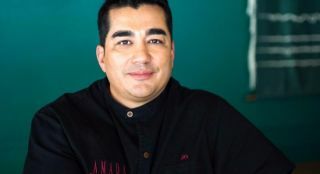 Jose Garces, along with other local chefs, share their holiday food traditions. 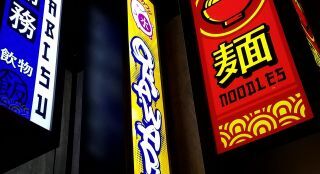 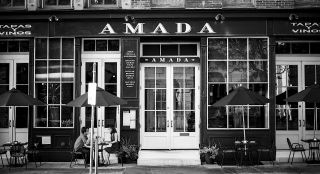 Amada listed as a long-running Philadelphia spot that "doesn't seem to go anywhere anytime soon." 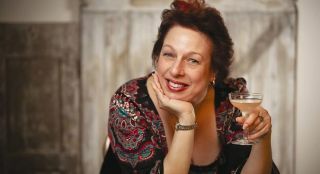 Cocktail Maven, Katie Loeb, is honored after her recent passing. 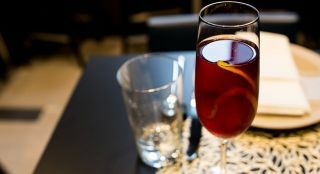 She played a major role in the Philadelphia food industry, including creating the opening drink list for Amada - where her red sangria is still a best-seller. 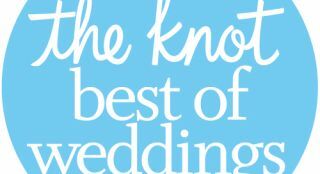 Garces Group was a Knot Best of Weddings winner! 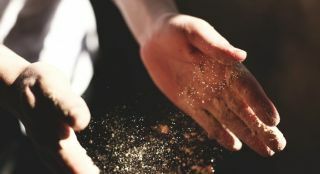 Congratulations to our Garces Events teams for all their amazing work! 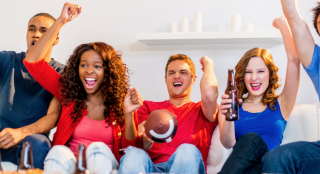 Truly unique football party ideas that really score. 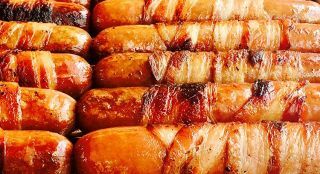 Thanksgiving & CO list some great football party bites. 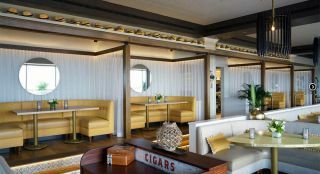 The list includes a a “Miami Dolphins Cuban Sandwich” inspired by Chef Jose. 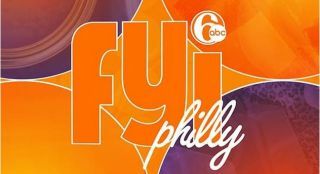 CBS Philly featured Chef Jose in a holiday recipe segment! 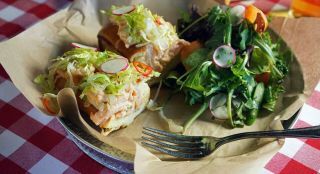 Check out his recipe for Slow Roasted Pork and more! 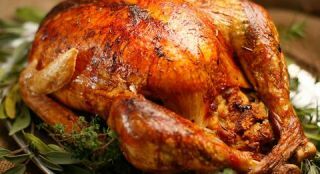 This article features Jose alongside other notable Chefs on his method of perfecting the Turkey using different cooking methods. 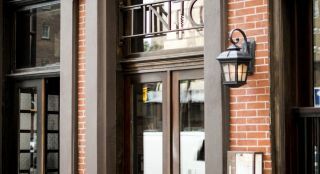 Tinto will be closed from October 12th - October 30th for the filming of a movie. 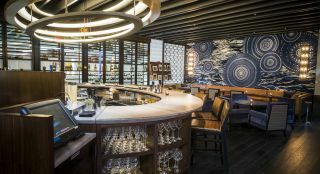 Volvér featured on Fox 29 Center City District Restaurant Week segment! 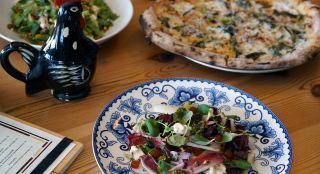 Volvér was featured on Fox 29's Restaurant Week segment. 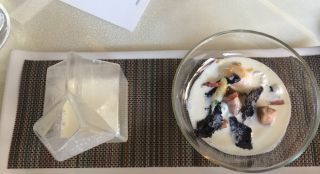 Watch Chef Nate provide Mike Jerrick and Alex Holley with a taste of Volvérs Milk and Cereal! 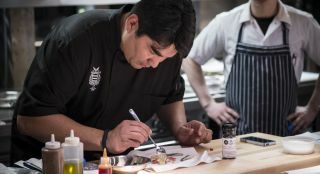 The Farmhouse collaboration invites guest chefs from near and far to prepare a collaborative dinner with Chef Jose Garces at Luna Farm. 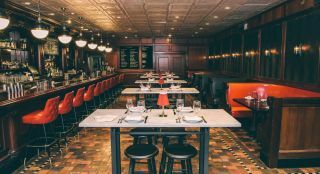 Our first pop up featuring Chef Marcus Samuelsson is sold out. 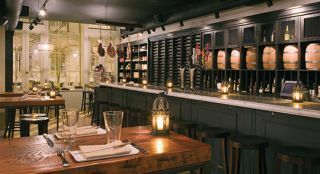 Sign up for our mailing list for future event info. 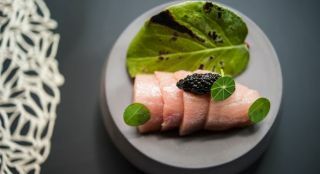 "Volvér's new tasting menu is 12 courses of art"
There's a lot of ground to cover at the main Philadelphia Museum of Art, the Perelman Building across the street and the Rodin Museum a little ways down Benjamin Franklin Parkway. 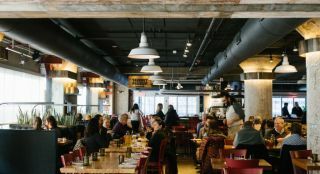 Head to one of these nearby restaurants to recharge after museum hopping. 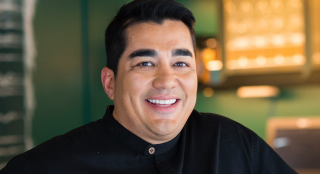 Jose Garces has returned to South Jersey. 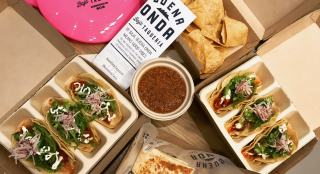 Luckily, thanks to Instagram, we can see mouth-watering food from our favorite Iron Chef 24/7. 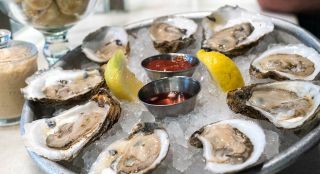 Warning: Delicious images ahead. 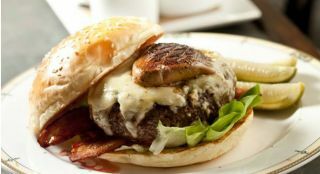 Come down to Village Whiskey to experience a one-of-a-kind gourmet burger for brunch, lunch, or dinner. 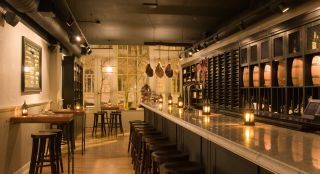 Be sure to come by during their “late night” hours to try one of their 200 whiskey options. 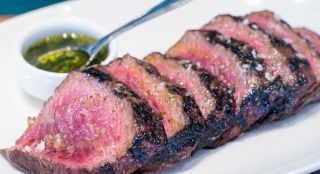 Philly Mag awards 24 "Best Restaurant for Kids"
Jose Garces, the Philadelphia chef who opened Amada in Battery Park City last year, has added this Times Square outlet for Basque food, which he fell in love with while living in Spain. 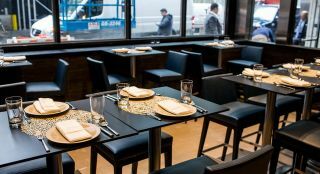 Philadelphia's Jose Garces, whose Amada opened downtown last year, can now count a Midtown Basque restaurant among his fleet. 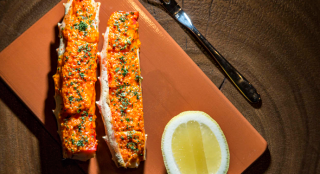 Jose Garces’s Basque restaurant is turning ten, so he’s celebrating with a big party and week-long specials. 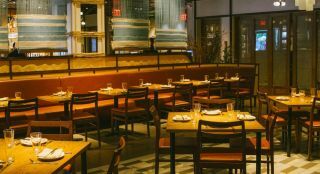 Amada NYC made Infatuations list of restaurants to host your graduation party! 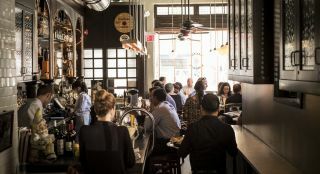 Garces' new all-day Walnut Street cafe shows what can happen when a restaurant does everything right. 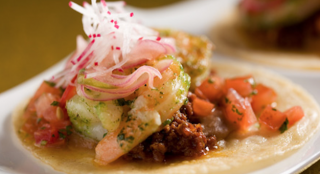 Volver receives a 5 Star Rating from Forbes Travel Guide for second year in a row. 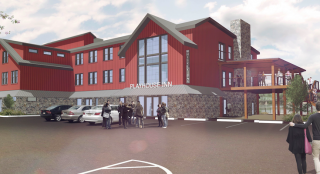 A revitalized building next to a popular Bucks County theater will be served by none other than Philadelphia's Garces Group when it eventually opens along the banks of the Delaware River in New Hope. 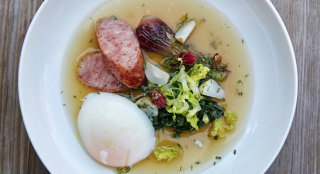 Volvér, meaning "to return" in Spanish, offers a culinary meditation and represents Garces' return to his most influential culinary experiences across the globe. 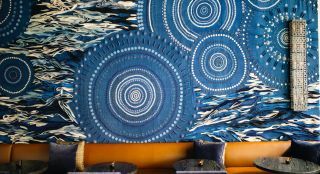 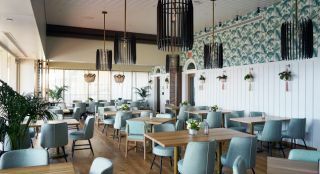 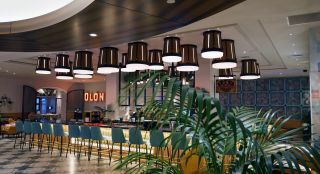 Jose Garces is bringing his culinary talents back to Atlantic City with three spectacular new restaurants opening at the Tropicana Casino and Resort Atlantic City.